The Crib Gogh Tropical data link system. Crib Gogh is a small SME specialising in extreme survival and sports equipment. They also run courses in Jungle survival – most definitely not your typical space company! 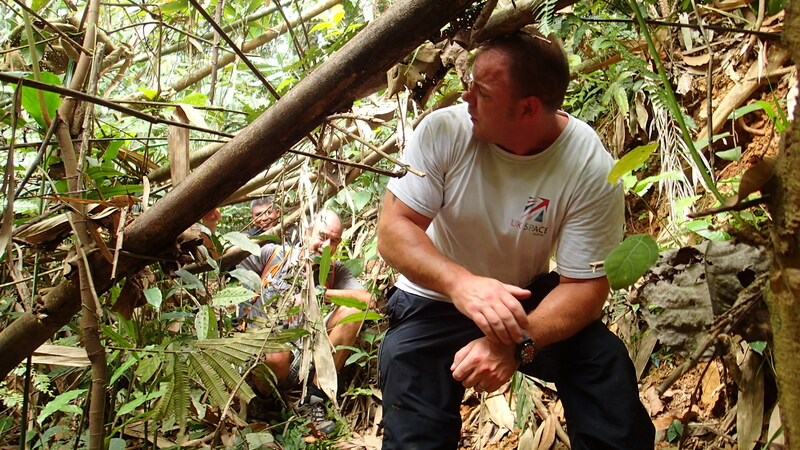 While on one of his jungle treks, Steve Heaward (Technical Director) was fed up with being unable to communicate with the outside world. 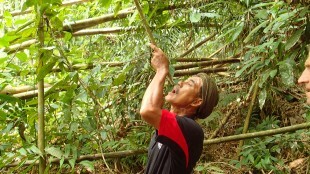 Jungle conditions prevent mobile phones, radios and even satellite phones from working. 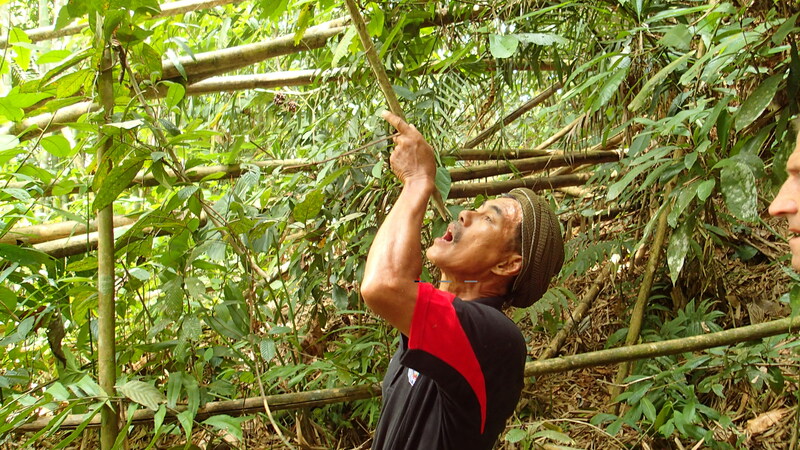 During one of his projects with the Malaysian Defence University (UPNM) Steve realised that this was a wider problem which severely impacted countries that have large areas of dense jungle. Problems included emergency services unable to communicate with each other during natural disasters. This led to the creation of an IPSP project between UPNM and Crib Gogh. Now, normally when I prepare for a project meeting I check that I have everything with me. For this project, however, my meeting prep list included “Jungle boots”, “sweat rag” and “snake venom antidote kit”. Why? 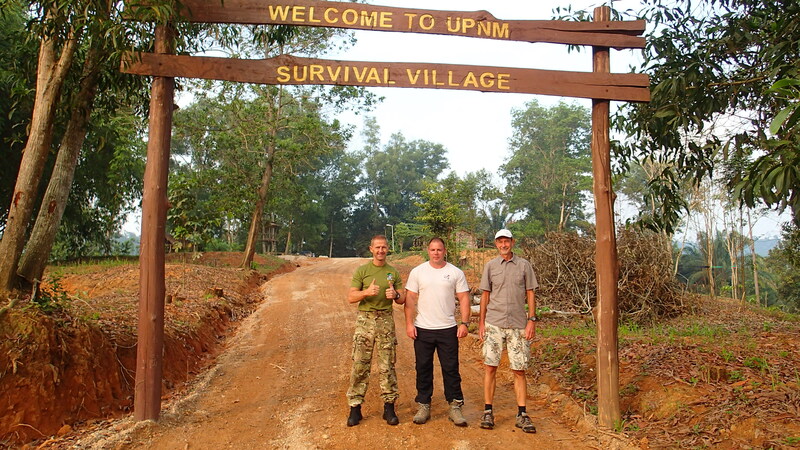 The kick off meeting was to be held at the UPNM Jungle survival school! 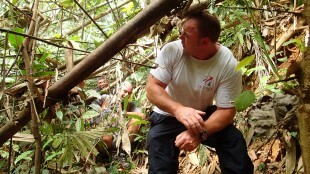 The school, about 3 hours’ drive from Kuala Lumpur, is where the Malaysian army learn their jungle survival skills. Usually the soldiers are dropped in the middle of deep jungle and are told to walk back, which takes about a week. Luckily my introduction was to be the softer, civilian version. 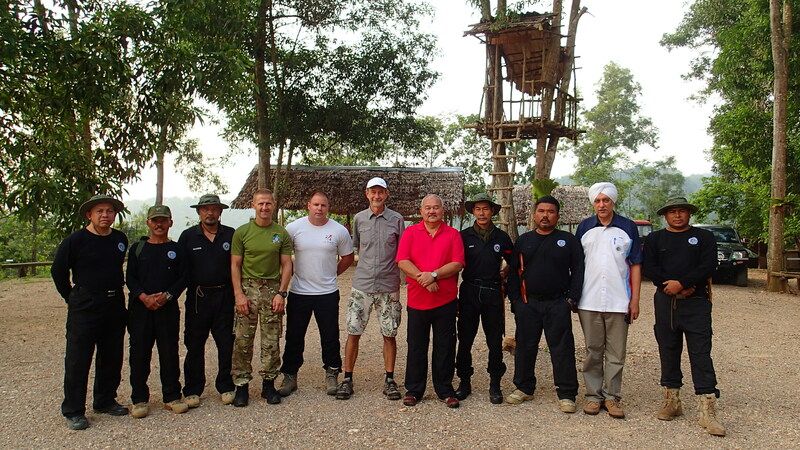 Upon arrival we were introduced to the instructors, who are some of the world’s leading experts in Jungle survival. I was given a ‘jungle meal’ (food foraged from the area) with jungle coffee (though I have a sneaking suspicion they might have nipped to the ‘jungle shop’ for that). Everything was served on homemade tables, plates and cups. Who knew you could make cups out of bamboo? Drinking water from a vine. My survival lesson consisted of making fire by using a plant and a rock, using homemade blowpipes to hunt animals and what to do if you spot a snake ( don’t step on it and try not to make it angry!). A few hours later, full of jungle coffee, eyebrows slightly singed from overenthusiastic fire making and more than a bit nervous about trying to avoid perfectly camouflaged snakes, we went into the jungle to see first-hand the conditions for ourselves. My first thought was, “how do you get into it?” It seemed like a dense solid green wall. Our guide produced a rather lethal looking machete and in just a few seconds, cut his way into it. Once inside, the heat and the 100% humidity hits you… And there was me thinking it was hot before I went into it! It was dim. Light filtering through the leaves above made everything appear stripy which was inconvenient when the snakes were stripy too. 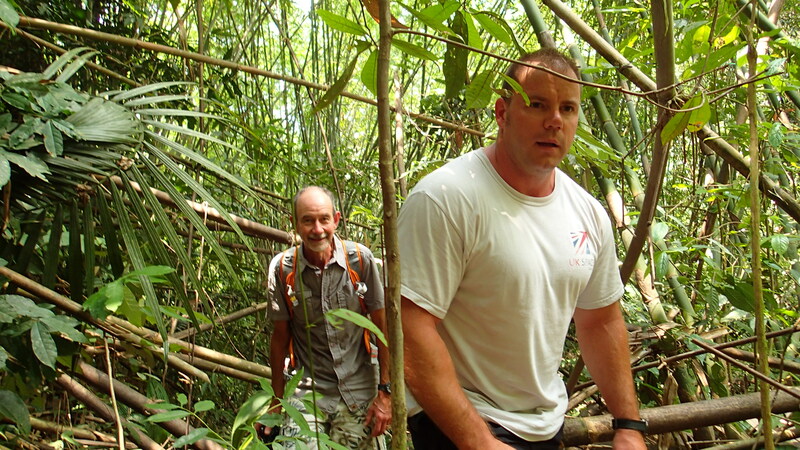 We tracked through the jungle with our guide who, when not cutting a path with his machete, was giving us helpful guidance. “Watch out for the giant ants!" (My personal favourite). Steve demonstrated how his idea would work, leading to a satellite enabled GSM ‘bubble’ so emergency services could talk to each other and to the outside world. I felt comforted that in the future, should I get bitten by giant ants leading me to step on sharp bamboo; I would be able to contact someone and cry for help. It was an amazing experience and really showed how with a bit of innovative thinking, space based solutions can make a real difference on the ground. After some more development, Steve and his team hope to go back to the jungle to do a full scale field test of their tropical data link solution. I hope to go along with them – if I can find where I put my snake venom antidote kit! -Ray Fielding, Head of IPSP. Read more about IPSP here.